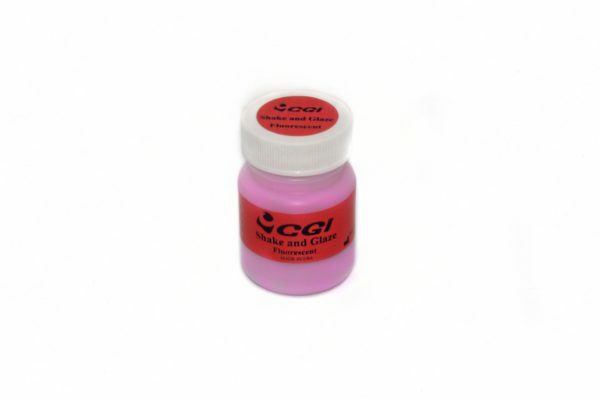 The only premixed glaze ready to use for airbrush application. 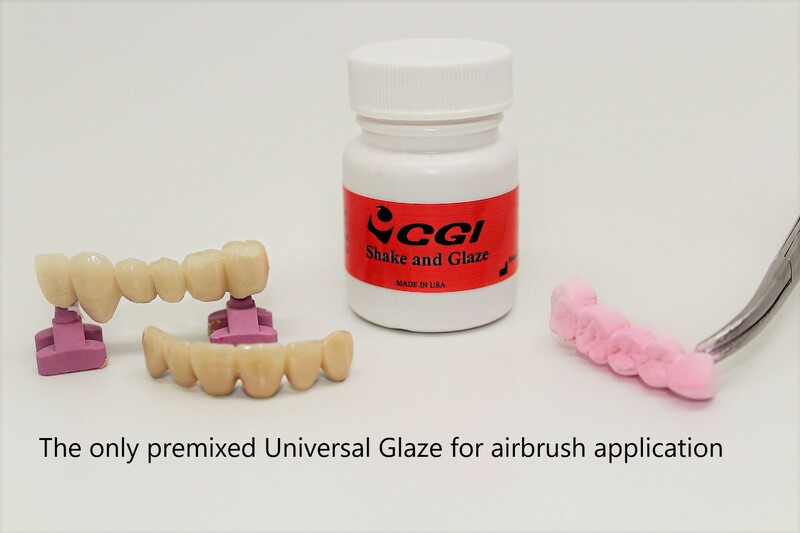 CGI Universal Fluorescent “Shake and Glaze” for airbrush application is intended to use for glazing all dental restorations. 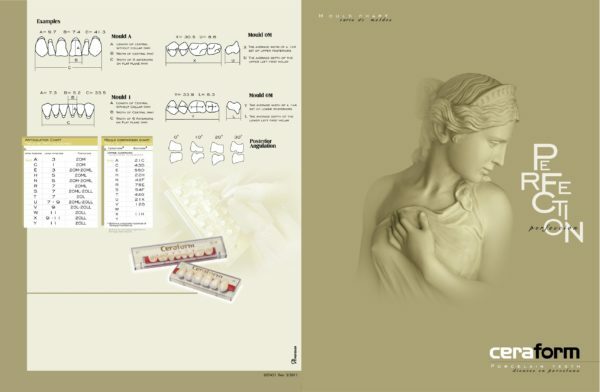 CGI Dental Porcelain A2 shade introductory kit available. Wide range of universal stain shades and colors that are also compatible with all ceramic materials. 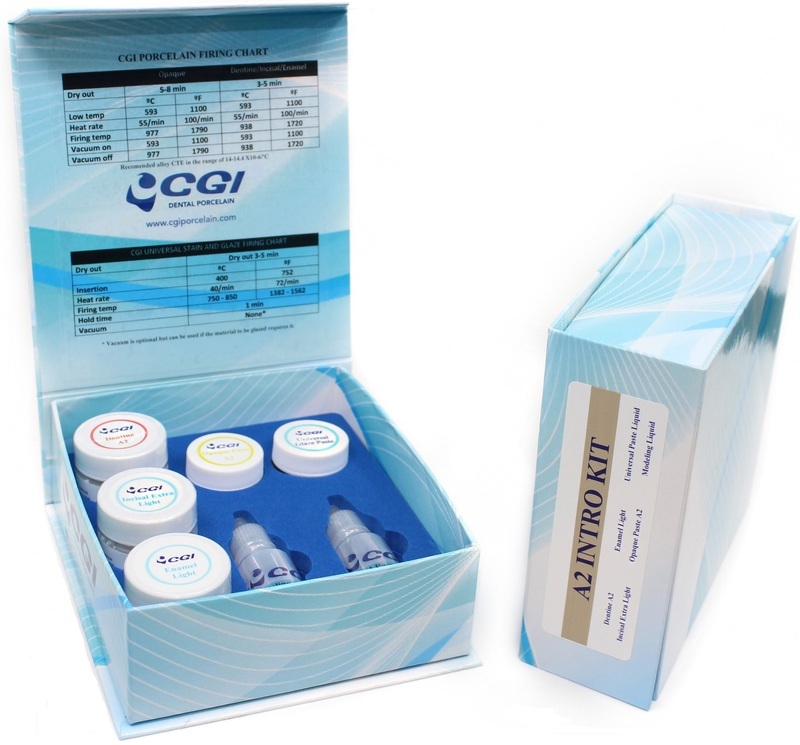 These stains are available in an easy to use paste formulation, individually or in a complete kit of 15 shades. Gum Shade Kit. 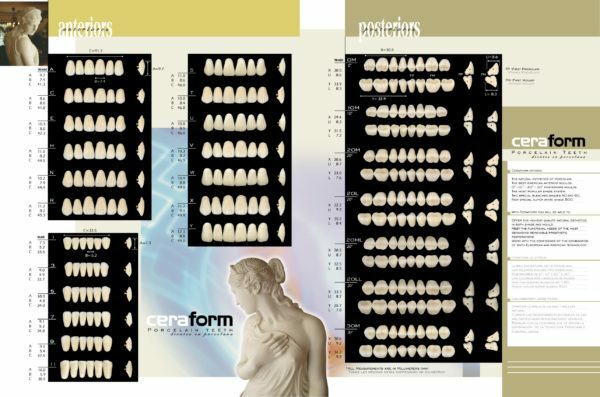 These five Universal ceramic stains allow the creation of a life-like transition from the crown margin to the gingiva by characterizing the restoration with the gum shades. 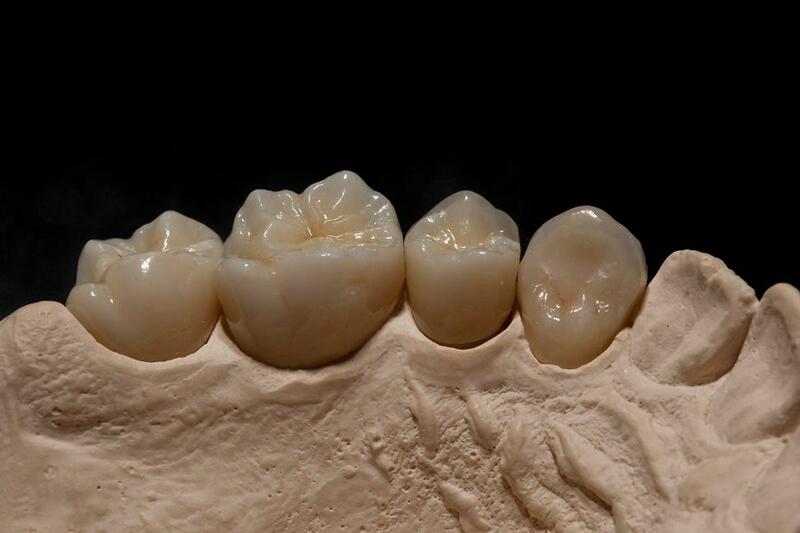 With the demand for zirconia restorations, these five stains will allow the ability to bring the white, red and the transition aesthetics of crowns and bridges to life. These stains are also compatible with lithium silicate and feldspathic porcelains. CGI Universal Fluorescent glaze especially suited to enhance shade in all light conditions with zirconia, lithium silicate materials. All glazes are available in powder, paste and aerosol presentations. The stain and glaze liquid is specially designed for mixing with powders or adjust the paste consistency of glazes and stains. 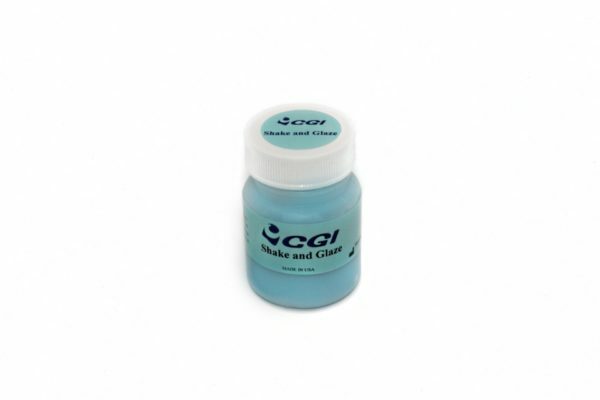 CGI stain and glaze medium is a specially formulated liquid for blending with the glaze powders. The liquid allows for easy application of the powder/liquid mixture and evaporates cleanly during dry out leaving no ash residue after glazing. 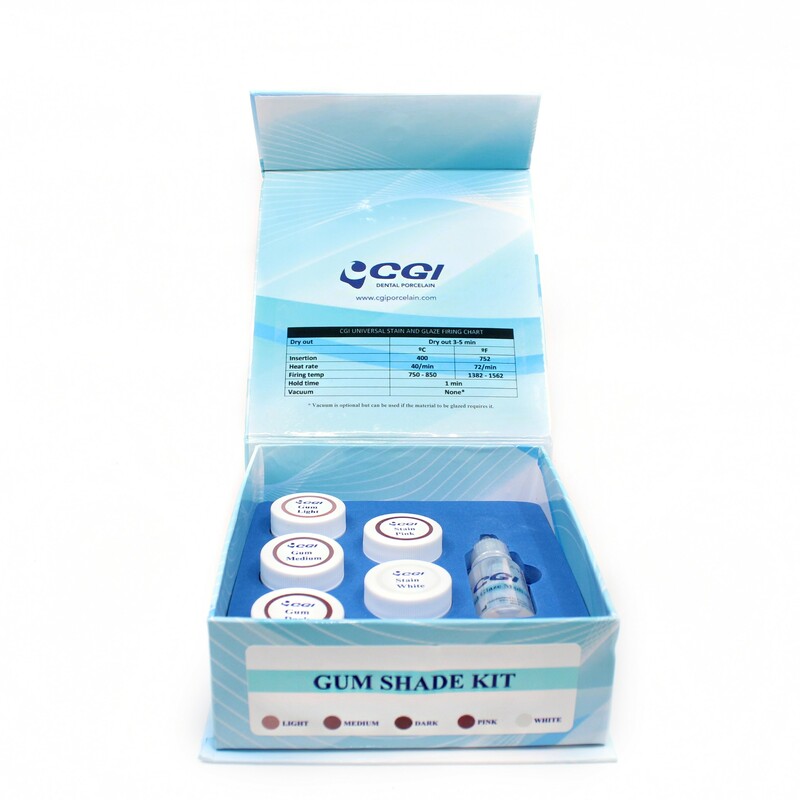 CGI Universal Fluorescent Glaze paste and powder is intended for use in glazing all types of dental ceramic restorative materials, especially lithium disilicate, lithium silicate and zirconia restorations. 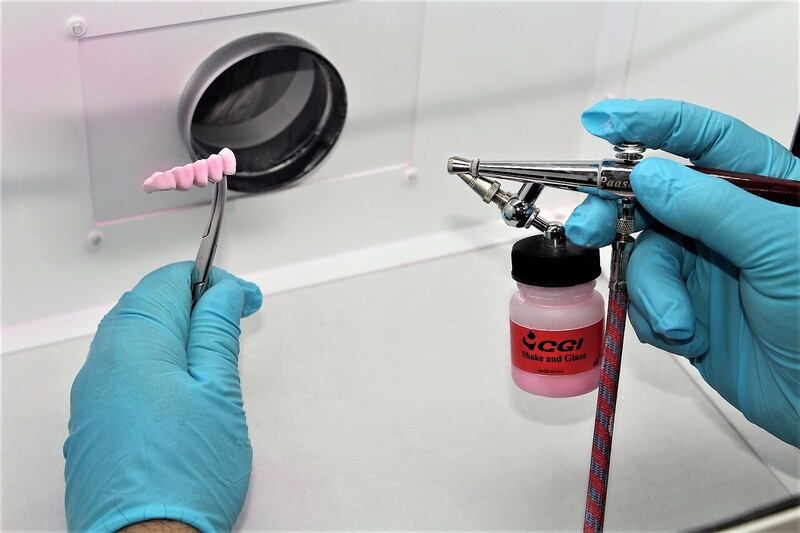 The ideal level of fluorescence enhances the optical properties of the restoration to mimic the appearance of natural teeth under all lighting conditions. 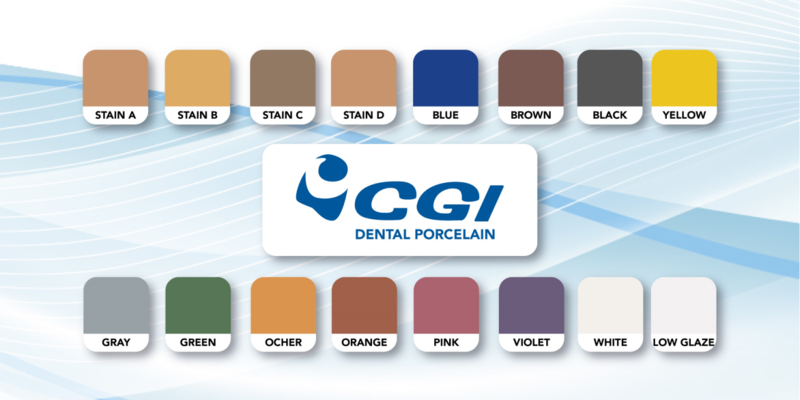 CGI Universal Glaze powder and paste is intended for use in glazing all types of dental ceramic restorative materials. Its wide range of firing temperatures allows the technician to adjust to the firing of the specific ceramic to be glazed.